Teach her to love herself just as she is; not only as she once was, might, or never will be. Teach her to see her own beauty, and not compare herself to any standard of society. Teach her that love is a wonderful thing, but that she is complete on her own, and needs no one to complete her. Teach her to trust, both others and herself. 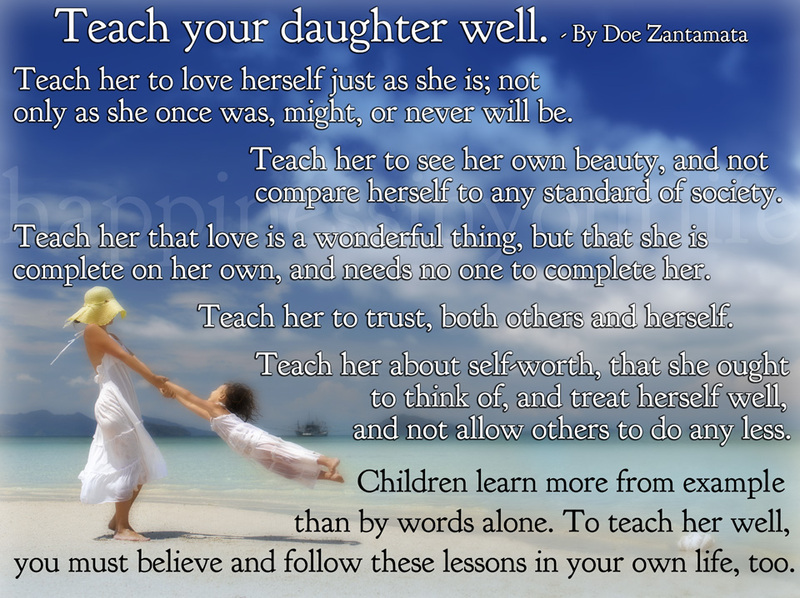 Teach her about self-worth, that she ought to think of, and treat herself well, and not allow others to do any less. Children learn more from example than by words alone. To teach her well, you must believe and follow these lessons in your own life, too.